John Horace Cowper Man was born on 12 September 1897 in Grantham, Lincolnshire, the son John Huntley Man and Florence Maud Cowper. 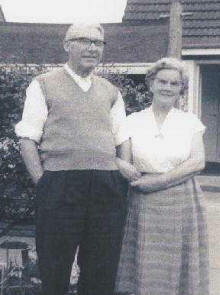 He married Annie (Dolly) Hodgkinson on 29 April 1920 in Derby. John died on 17 May 1971 in Mickleover, Derby. Annie was born on 8 October 1896 in Derby and died on 7 June 1992 in Mickleover, Derby.